I am curious as to why someone told you not to install on a wood deck. The Deluxe line is our most popular all purpose line. Great product for home landscaping, pet areas and runs, apartment and condo balconies, decks and RV pads. Deluxe has a total weight of 70 ounces, tri color green with a green thatch, has perforated backing and is made of all poly fibers. 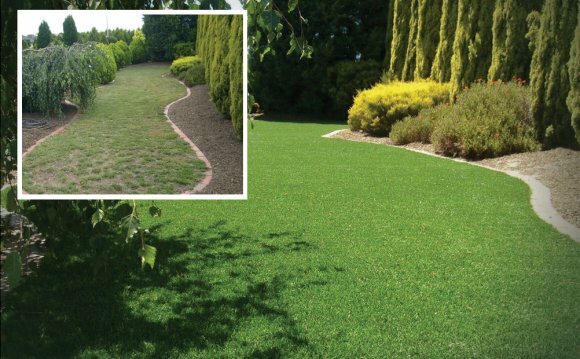 Infill is recommended to obtain the best look and feel from your grass. I am interested in purchasing a large piece to put on my wood deck and I am hoping this will work.